We might be a little late for the opening exhibition, but fret not since this event will continue for 2 weeks until October 9. Come thru and check out Beastman masterpieces, the Sydney artist who recently moved to Canggu, Bali. 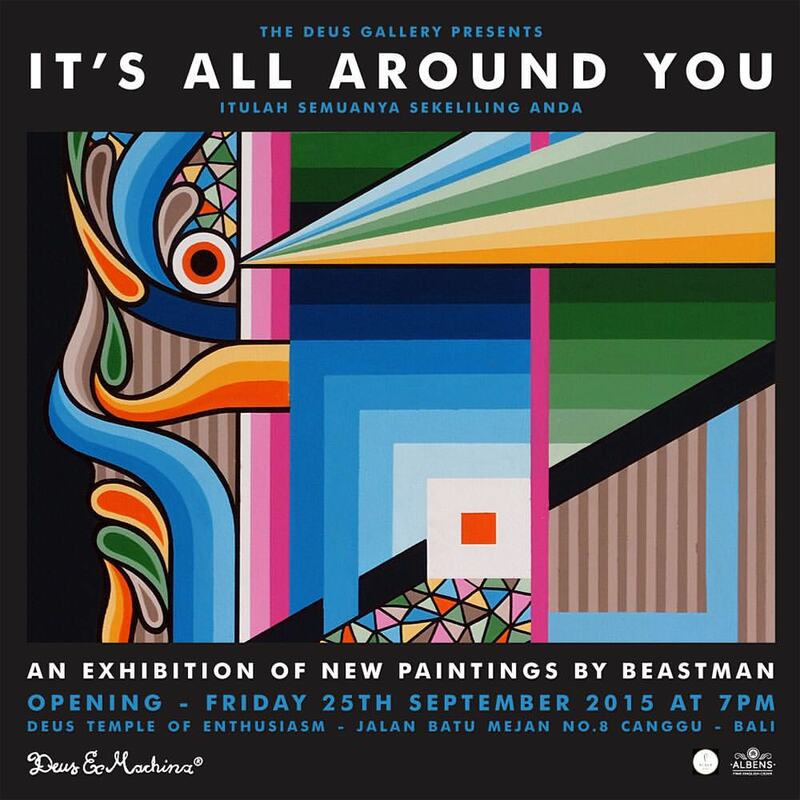 It’s All Around You exhibition by Beastman, Deus Canggu, until Oct 9 2015.